President Emmerson Mnangagwa is airborne on his way to the country after announcing on Sunday that he is cutting his trip short to come and deal with the economic challenges affecting the country. He was supposed to attend the World Economic Forum in Davos, Switzerland but instead sent his Finance Minister Mthuli Ncube. 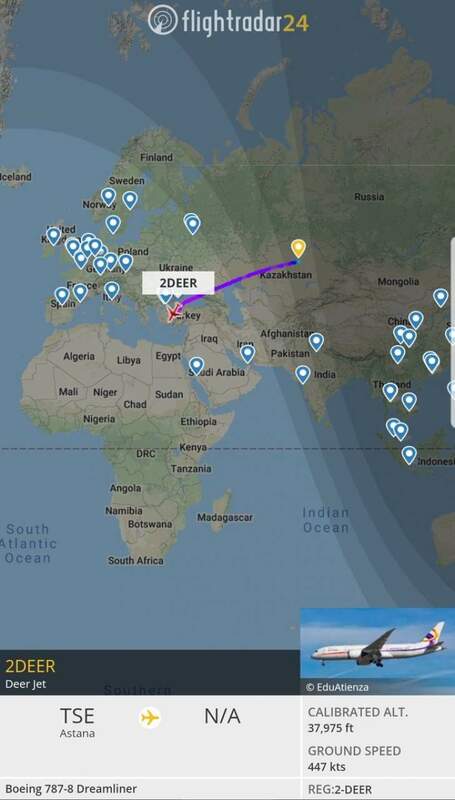 Courtesy of Flight radar, the Boeing 787-8 the 2 Deer jet that Mnangagwa is using currently reveals that he is entering Africa on his way home.